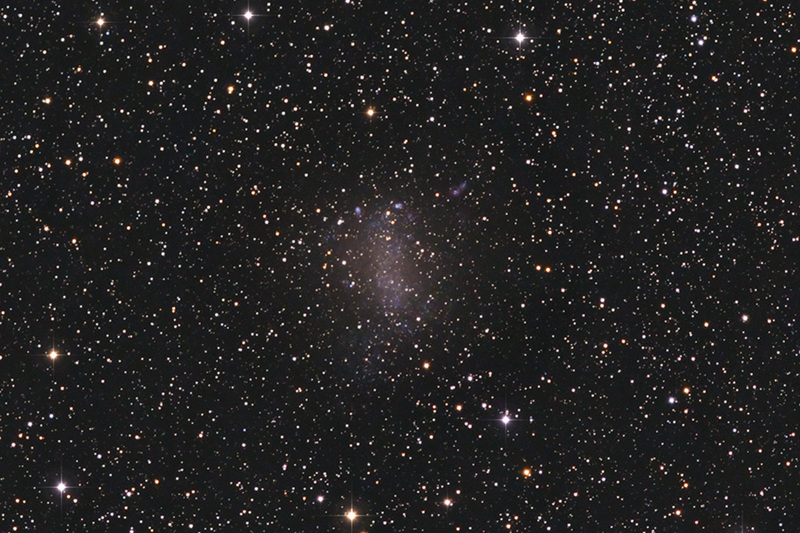 Barnard's Galaxy (NGC 6822), a dwarf irregular and member of the Local Group in Sagittarius. 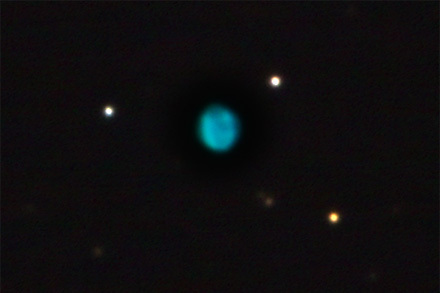 (Note the vividly blue-green planetary nebula known as the Little Gem Nebula just to the right of top-centre - see foot of page.) 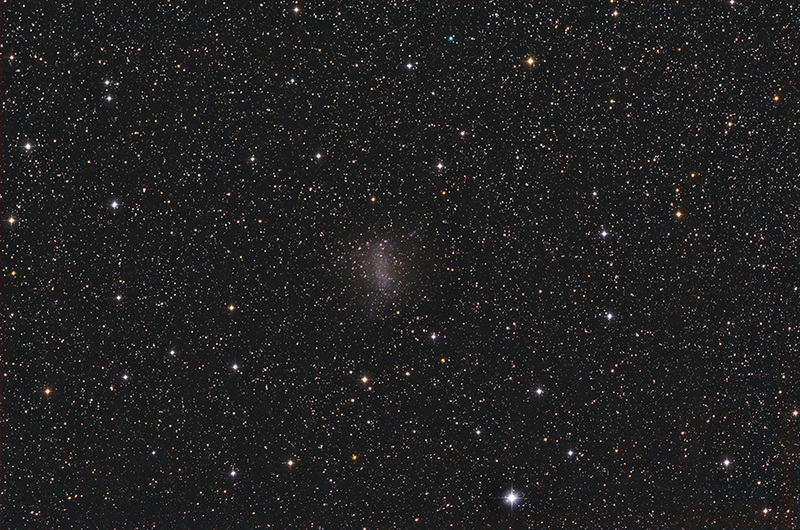 Below, a more tightly cropped version of the galaxy. 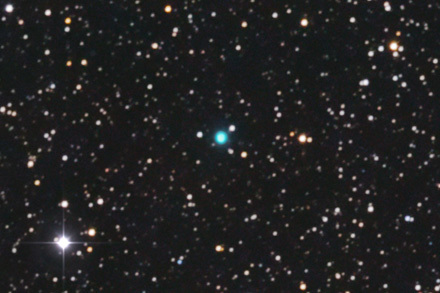 Below left, a cropped detail of the Little Gem Nebula from the wide-field image at top. At right, a higher-resolution view at 2,800mm focal length.